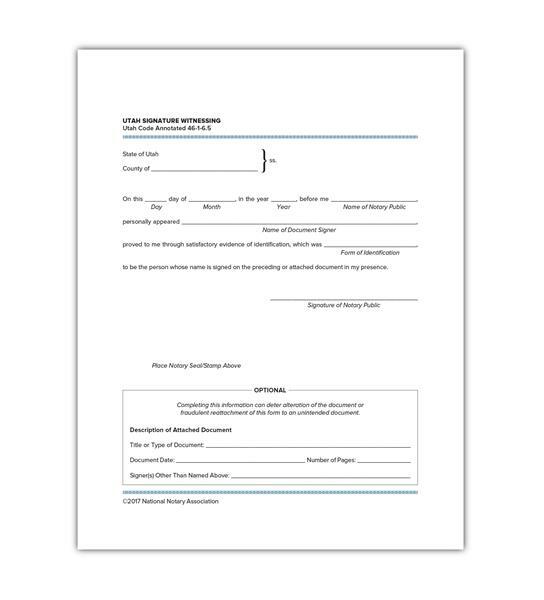 The Signature Witnessing certificate is used to determine that the signature appearing on a document is that of the person appearing before the Notary and named in the document. Pad of 100 certificates. We're sorry. 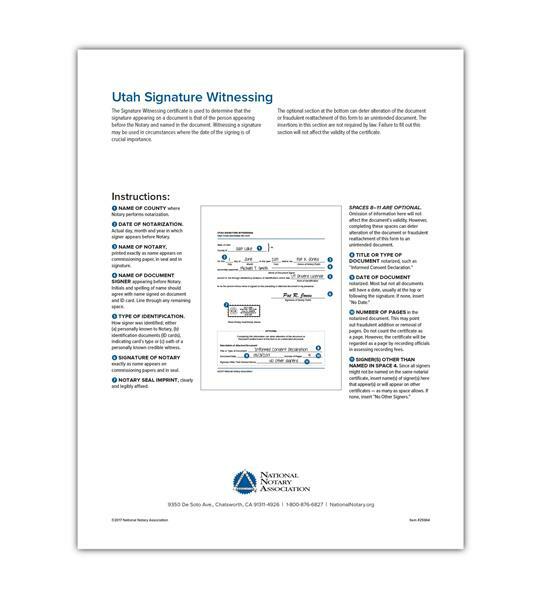 Utah Signature Witnessing is not available for use by Notaries in Virginia. If the chosen state is incorrect, you may change your state at the top right of the page.